Filed under longer lasting flowers, Uncategorized. Happy Spring! I can’t begin to tell you how truly happy I am now that both daylight savings time and Spring have arrived. Here in Florida I’ve experienced the coldest winter on record in nearly three decades! Now we get the chance to see Mother Nature awaken and bring about a season alive with flowers and fragrance. My favorite thing about Spring is the endless options of flowers available to fill the home. 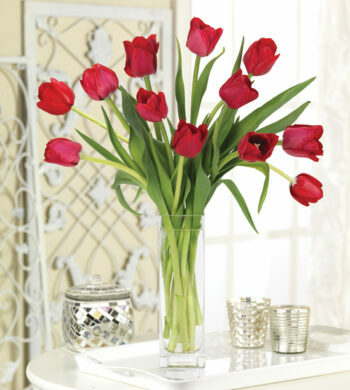 A home with flowers displayed has instant personality and style. While working on a new bouquet for the Calyx product line, friends kept telling me how beautiful and effortless the flowers looked. I respond as I usually do by telling them it’s so easy to achieve the look themselves — just try. 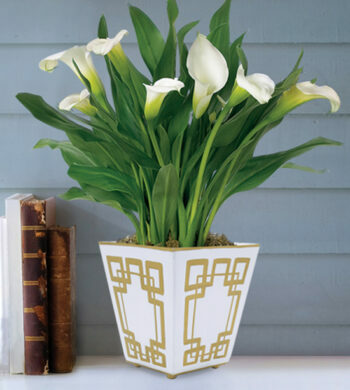 The easiest flower to arrange in your home might be the lily. 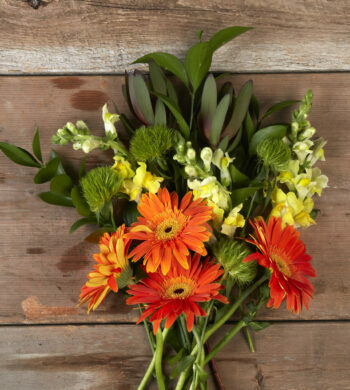 They are an orange and elegant choice as their blooming cycle is long lasting and their colors oh so vibrant. 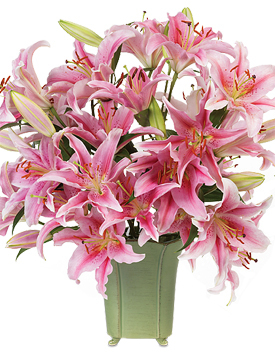 A single bouquet of lilies can be spread about like natural knickknacks with a grand bouquet of ten or twenty stems as the crowing touch. 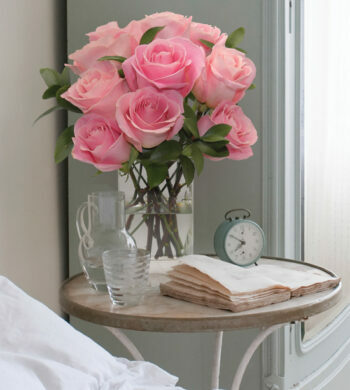 Designing with these flowers is a cinch and the results, spectacular. Have fun and enjoy spring’s beautiful bounty.